Sun., July 2, 2017, 9:07 p.m. The user whose screen name is an unprintable corruption of “Han Solo” spent about a year on Reddit before attaining stardom, courtesy of a share from President Donald Trump. The user found more success posting on r/The–Donald, an extremely popular Reddit subgroup specializing in the idolization of Trump and the denigration of his imagined enemies – often through the most offensive means possible. 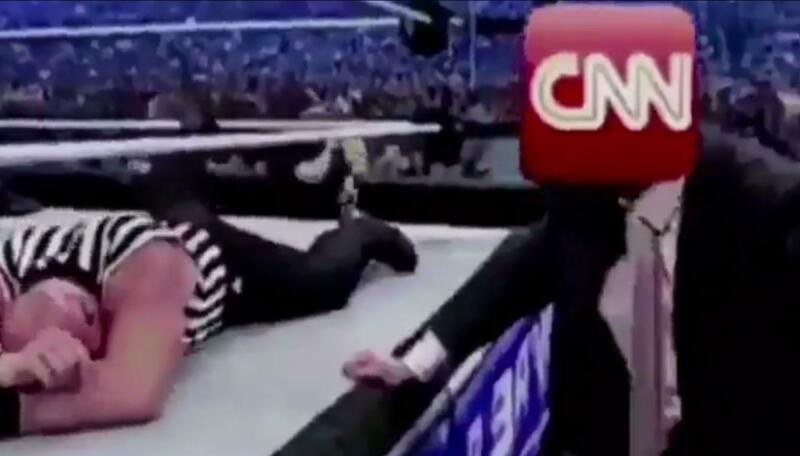 Thus Han———-Solo’s offering on Wednesday: A GIF of Trump pummeling Vince McMahon at a long-ago WrestleMania, with a CNN logo superimposed over McMahon’s face. It did fine. A few thousand votes. Nothing special by r/The–Donald’s standard. Until 9:21 a.m. Sunday, that is, when Trump tweeted a tweaked version of the clip, and made history on r/The–Donald. Joy echoed across r/The–Donald, which a day earlier had been more interested in conspiracy theories about the Clintons killing people and stick-figure drawings of Californians embarrassing themselves. Which isn’t far from the truth. The National Archives has advised the White House to save all the president’s tweets – from the indecipherable “covfefe” to “she was bleeding badly from a face-lift,” which was in the running as one of Trump’s most offensive tweets before his pummeling video drew condemnation from lawmakers and journalists on Sunday. The Washington Post couldn’t find any version of the CNN-pummeling clip before Han—-Solo’s post last week. And the user took credit for it, while noting that someone added sound and made other alterations to the version Trump tweeted. That said, a similar clip with an identical title – but no CNN logo – appeared weeks earlier on an obscure Twitter feed. But it almost doesn’t matter where the meme really came from. On r/The–Donald, where dubious claims have long mixed with reality, Trump’s endorsement of a homegrown GIF is now accepted as canon and lore. This isn’t the first time r/The–Donald has praised itself for getting inside the gears of a system its users claim to hate. As The Washington Post has noted, users took credit when Reddit tweaked its algorithm last year, trying to stop subgroups from mass-voting their posts onto the site’s front page – a favorite tactic on r/The–Donald. When those posts aren’t about GIFs endorsed by the president, they’re often insults of liberals, with frequent forays into conspiracy theories and intentionally offensive memes. Take the now-debunked story that a Democratic National Committee staffer was killed because he leaked party emails. “The–Donald’s front page was flooded with threads promoting the Seth Rich story as users claimed that the website’s administrators were intentionally downvoting the story,” the Daily Dot wrote in May. Han———-Solo appears to be part of that campaign, posting a conspiratorial meme about Rich on r/The–Donald in May. “It’s all part of United’s Remove A N-word Over The Ocean program” the user wrote on a “dark humor” board two months ago, beneath a photo of a black child on an airplane. The comment got nearly 300 votes. And that was before Han———-Solo’s portfolio could claim an endorsement from the president. Published: July 2, 2017, 9:07 p.m.